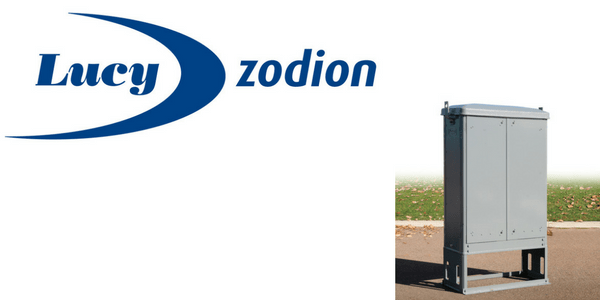 Lucy Zodion cast iron feeder pillars are designed for increased weather protection, security and very long service life. The Heritage range of cast iron feeder pillars are available in 7 different widths with 2 different heights plus locking arrangements and colours can be tailored to customer specification. 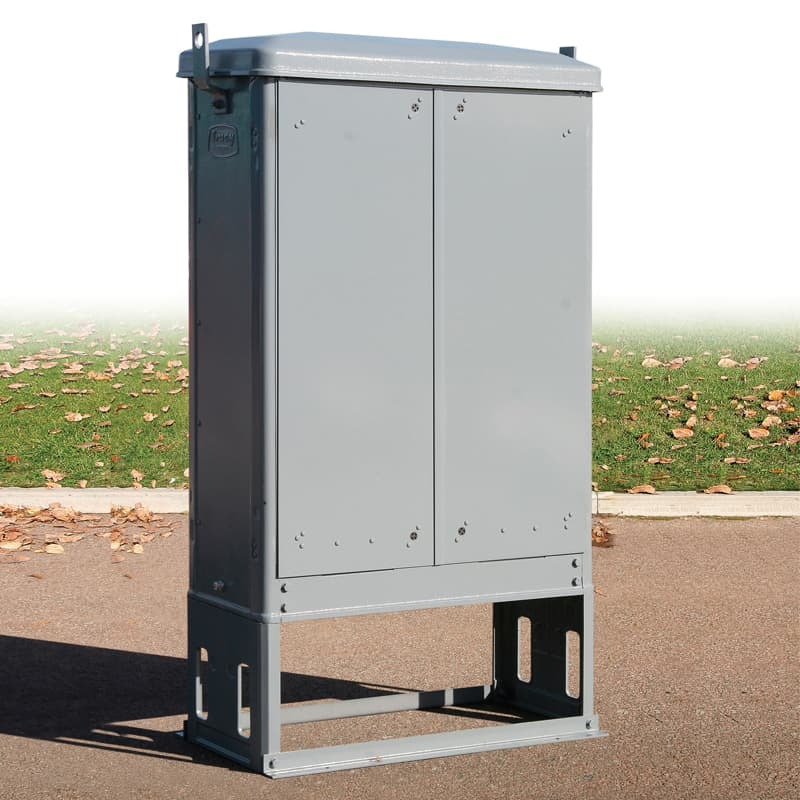 All feeder pillar components are subject to zinc phosphate resin treatment followed by a final coat of polyurethane paint in dark Admiralty grey (RAL7012) or Hollybush green (RAL 6028) – sets of zinc pre-coated steel in-fill panels available for fitting to feeder pillar root when above ground mounted. Pillar doors can be installed front and back if required with a centre mounted backboard offering dual entry/security for utility or local authority working access. Traditional design feeder pillars manufactured from cast iron conserve the architectural integrity of the built environment with an IP33 ingress rating – standard RAL colours (RAL 7012 or RAL 6028) are available. The pillars can be pre-equipped with control and electrical equipment to customer specification. Options – in-fill/apron plates, yale lock, bar lock, colours, interior lighting, heater kits and electrical interior fit out. 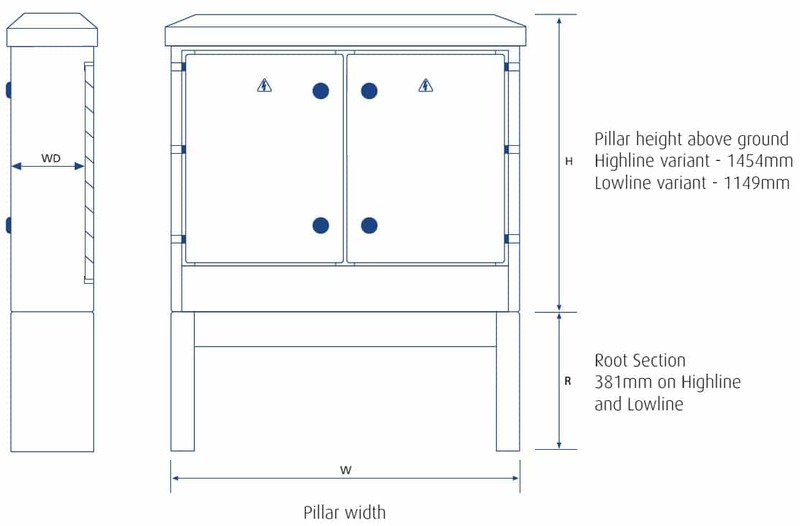 The ranges of feeder pillars are shown in the selection table below – Size 30 pillars fitted with a single left-hand opening door whilst the remainder are double door equipped. Customers can select from a range of additional features and functions which includes doors fitted back and front and non standard colours. The ordering code for Lucy Zodion Heritage type cast iron feeder pillars is comprised of 3 sections. This is a Heritage range cast iron feeder pillar manufactured by Lucy Zodion – the pillar height above ground is 1454mm (Highline) and a width of 582mm. The pillar would be painted Green Colour (A) supplied with in fill panel (B), yale lock (D) and heater kit (G). Cast iron pillars can be supplied with pre-equipped backboard according to customer specification with factory issued test certificate – G2A Highways Agency paint specification is an option for motorways and major A road projects.